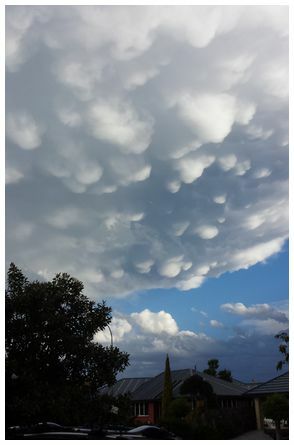 'Interesting bulbous mammatus clouds formed after a brief thunderstorm. I could see them being formed in an eddy type wind. Taken at 19:30 on 18 December 2013 in Christchurch' wrote Andrew. 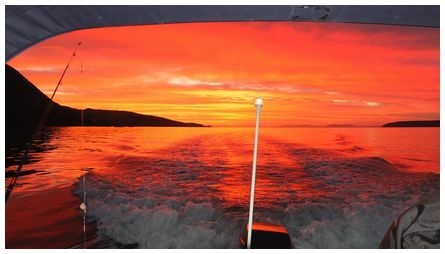 'Looking SSW entering Porirua after an after-work fishing trip. Never seen such an intense red colour before. Taken 21:00 Tuesday 3 December 2013' wrote John. 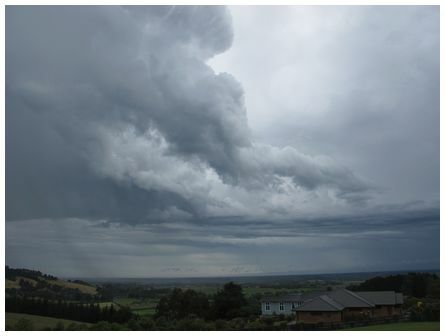 'A southerly front, the same one that stopped the West Indies cricket test in Dunedin, arrived in Christchurch mid afternoon on 8 December 2013, with a few small bursts of lightning and some heavy localised showers. You can see rain showers below the main cloud layer, lower left. 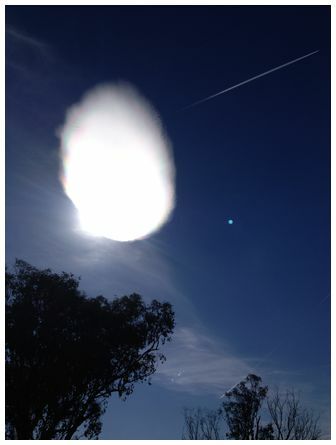 These photos were taken from Kennedy's Bush on the Port Hills above Halswell, looking west and south. Camera is a Canon PowerShot G12, Program mode, set to 0.3 stop underexposure. (ISO 80, 1/1250 sec, f 4.5)' wrote Gregor. 'Tauranga Bay, Northland at 08:30 on 2 December 2013. At ground level a beautiful calm day. Looking north towards Stephenson Island' wrote Robin. 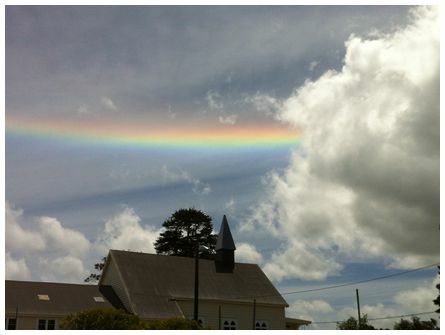 Bernard's beautiful photograph of a circumhorizontal arc was seen over Maungaturoto, Northland at 14:35 on 6 December 2013 during very hot and humid weather after a couple of wet days. It was captured on an iPhone 4s. 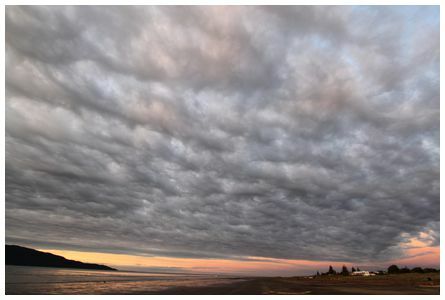 'Hi James, heavy cloud layer over Paraparaumu Beach looking North on a calm evening, taken at 20:10 on 5 December 2013. 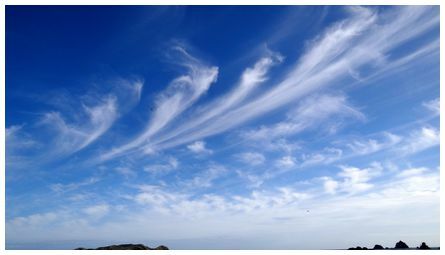 Canon EOS 500D at 10mm' wrote Bob.